Gummy supplements are formulated for kids, the elderly, and people who do not like swallowing pills and tablets. 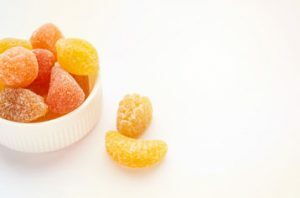 Gummies make it easier for them to get a sufficient dose of essential nutrients every day. Vitakem offers gummy vitamins for the immune system (Vitamins C, D, and more) and gummy supplements for the brain and nervous system (DHA and more). Vitakem Nutraceutical Inc. is GMP and NSF certified, which means the private label manufacturing company complies to strict standards and deliver only quality products. Contact us today to start drop shipping health and wellness products.